Dine out is such a great event each year because it allows us to try a variety of restaurants that we otherwise might not. The prices are often a really good deal for a 3 course menu, so trying places a little more fancy won’t break your wallet. 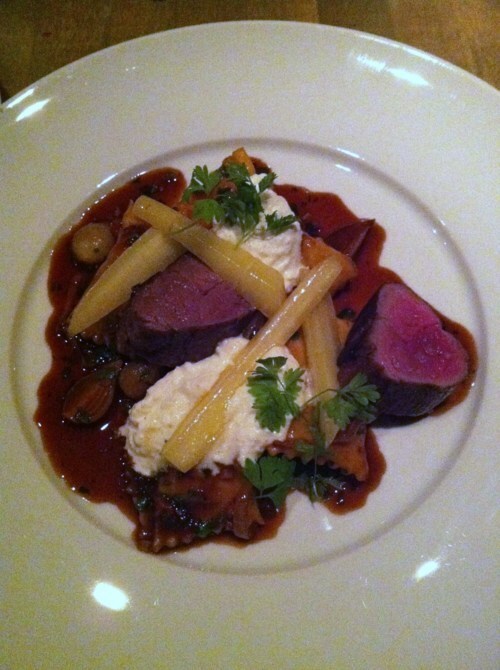 This year, I went to L’Abattoir in Gastown, where they offered a dine out menu for $38. I left the restaurant extremely satisfied as the food and service were both excellent! The poached egg appetizer was cooked perfectly. 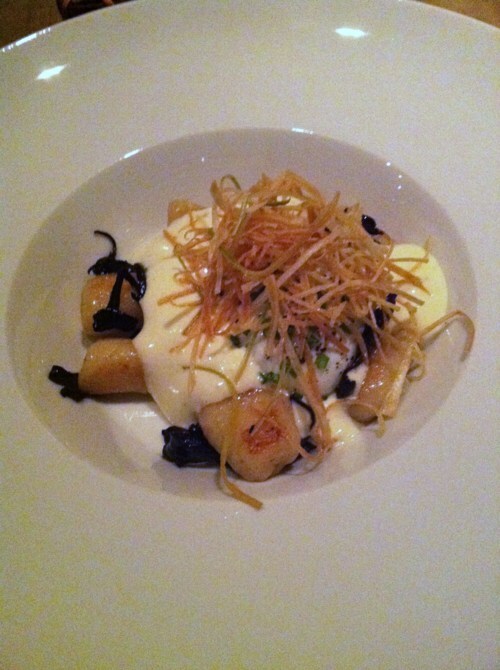 It was a little runny, but the egg complemented the food around it, like the gnocchi perfectly. 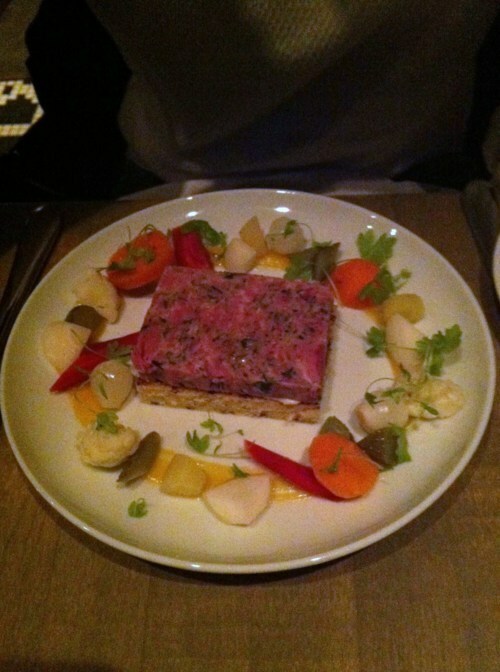 The pork pate was also a nice appetizer, but I would probably choose something like foie gras over it. Then came the entrees. 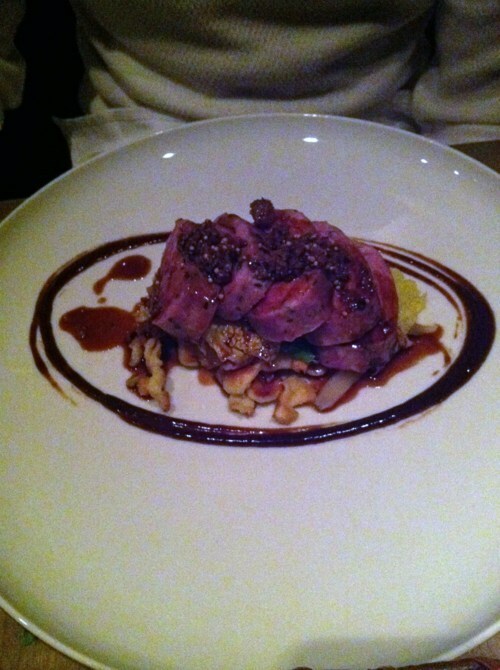 The duck breast was delicious! It was cooked perfectly so that it was extremely tender, and not tough at all. The lamb was also extremely tender and cooked just right.The past was filled with lamb, which I found quite special, as it wasn’t just the regular cheese filling. It was a nice twist to regular pasta. Last but not least, the desserts! My favourite part! The banana ice cream was my favourite. 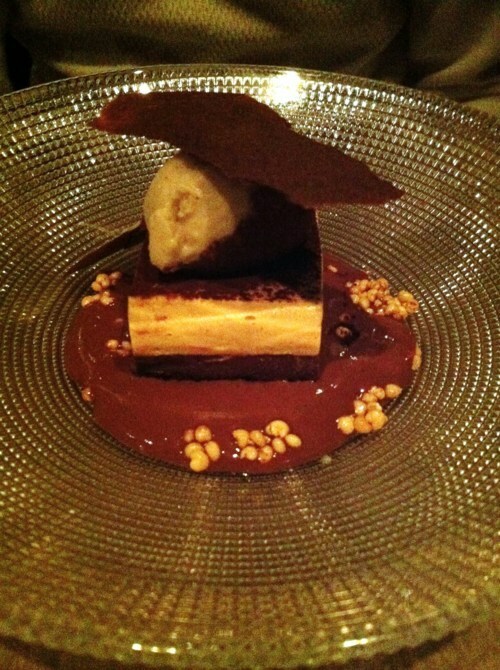 It actually had a very strong banana flavour and the dessert just melted in your mouth. Definitely a very special dessert! 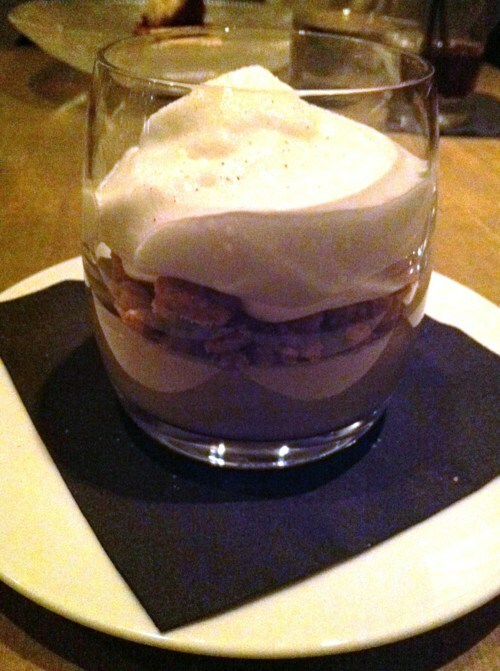 We also got the earl grey pot de creme, and it was perfect for people who didn’t want something too sweet. The alternating layers of cream and shortbread gave a very nice texture to the mouth. Food was excellent and the ambiance was also really neat. Apparently, the restaurant was built in the 19th century and was actually the first jail in Vancouver! Kind of creepy at the same time I guess…but the interior has been modernized a lot while keeping some of the classic French tile work. It’s even got a bar, so to be honest, it’s not a very fancy restaurant. It’s a really hip restaurant with laid back service, but excellent food!